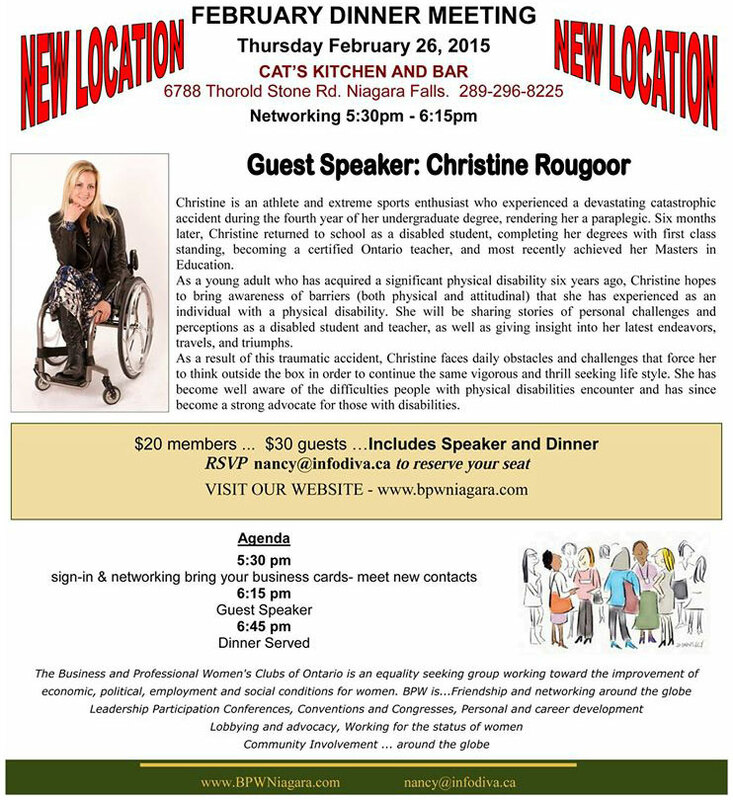 I will be speaking at the Cat’s Kitchen & Bar on February 26th for the Business & Professional Women of Niagara dinner meeting. Come on out! It will be a great night! All content Copyright © 2019 Christine Rougoor. All rights reserved. Website by Stewart Media Inc.